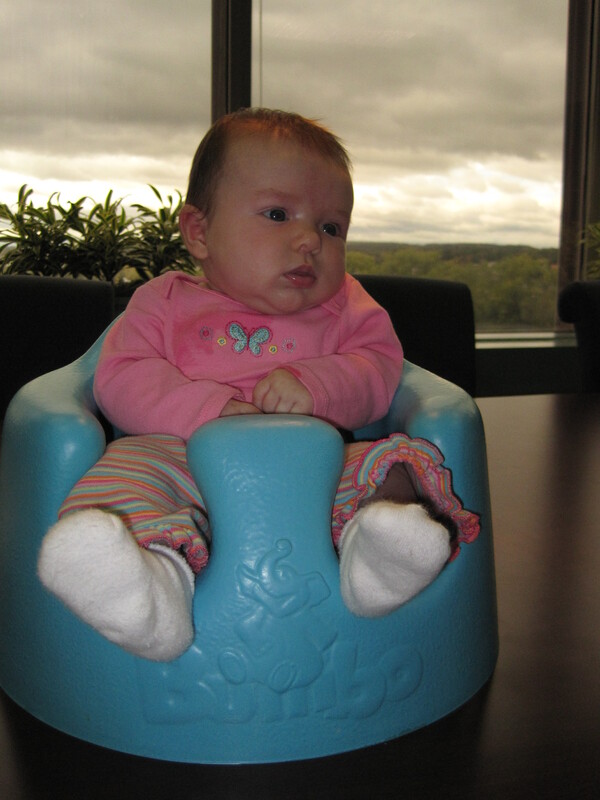 This picture was taken about 2 weeks ago, but here’s M in the bumbo seat for the first time. wow, where are you? The background is gorgeous! And so is that little peanut!